With the Royal wedding quickly approaching (Prince Harry is set to marry Meghan Markle this Saturday, May 19th), I have been dreaming about a trip to London! If you’re feeling the same, start planning your visit by perusing this list of our favorite London hotels. Bayswater Inn Hotel is a budget-friendly 3-star option on this list of the best London hotels. Location is key in this property’s appeal, which you’ll notice with most options on this list! 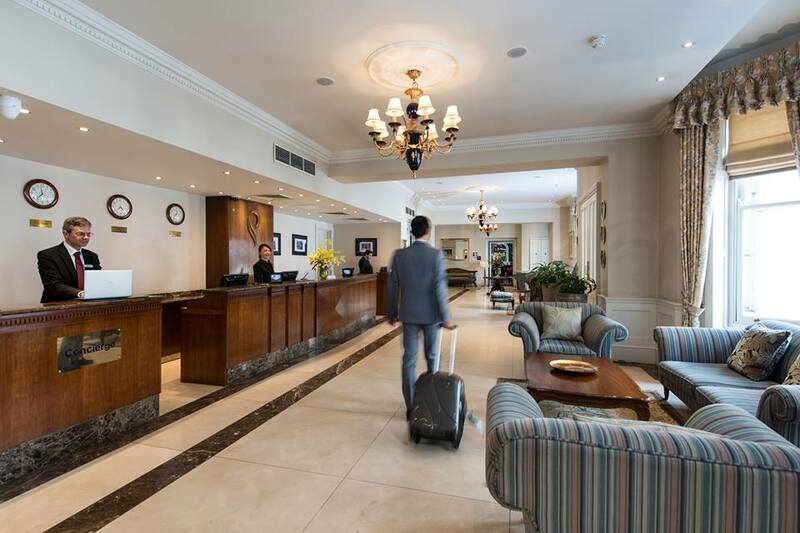 We love this hotel because it is within walking distance to Hyde Park, Oxford Street, Notting Hill, and Bayswater tube station. Tavistock is another 3-star hotel that won’t break the bank. 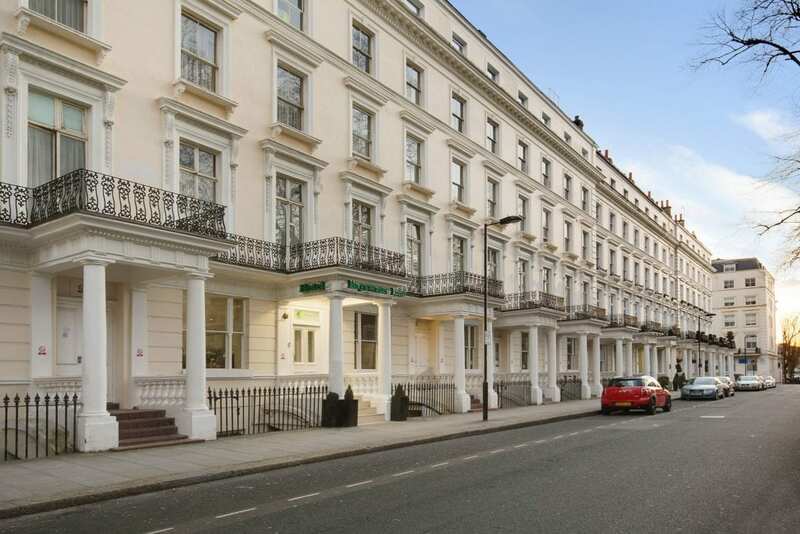 Located on Tavistock Square Gardens, it is just 1 minute away from Russell Square, and 15 minutes from Oxford Street. President Hotel London is located in the neighborhood of Bloomsbury in the heart of city. This no-frills 3-star option makes the list because of it’s great location close to Russell Square and the tube station. St. Giles London is also located in Bloomsbury, within a short walking distance to Tottenham Court Road and Oxford Street, as well as the tube station. This 3.5-star option has an onsite health club and restaurant. Caesar Hotel London is located in a peaceful, quiet neighborhood which is just north of Hyde Park. Bayswater tube station is within walking distance to this 3.5-star hotel, which is housed in a grand Victorian townhouse on a a garden-filled street. Park International Hotel is a modern 4-star hotel in the posh neighborhood of Kensington. Kensington is one of London’s most affluent areas with beautiful homes and parks. This hotel is within walking distance to Hyde Park, the Natural History Museum, and the shops of Knightsbridge. 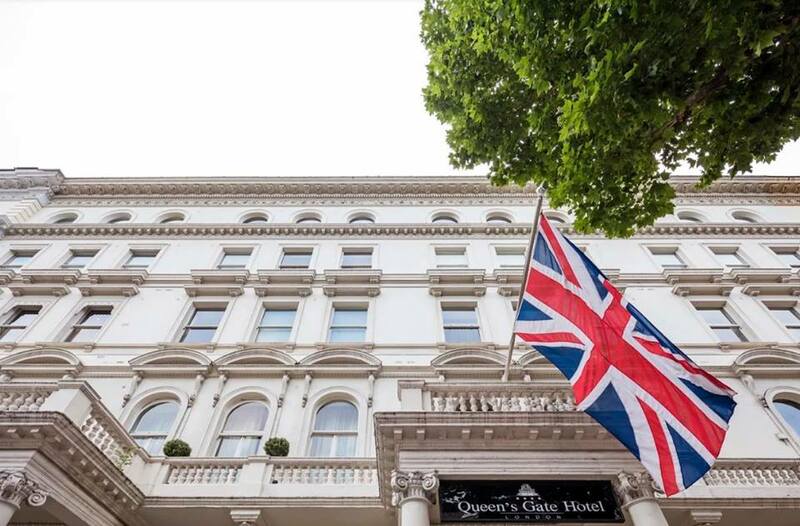 Queen’s Gate Hotel London is a luxury hotel in the Kensington neighborhood. This hotel is memorably because it comprises four Victorian townhouses with a grand white exterior. This hotel definitely has that “wow” factor, in addition to a great location! Melia White House is one of the best luxury hotels in London. Located in the Regent’s Park neighborhood, this hotel resides in a grand mid-rise building dating back to 1936. Melia White House is near Madame Tussauds, the Sherlock Holmes Museum, the London Zoo, as well as the Lord’s Cricket Ground. Lastly. Hotel Indigo London is our third higher-end choice, nestled in a bustling part of the Paddington neighborhood. With modern interior design and bold colors that reflect the eclectic neighborhood, this is another “wow factor” hotel option. This is a very busy property because London Street Brasserie international breakfast is housed inside. This is a very popular restaurant for locals and tourists alike. To start planning your London getaway, call us at 402-281-3022!